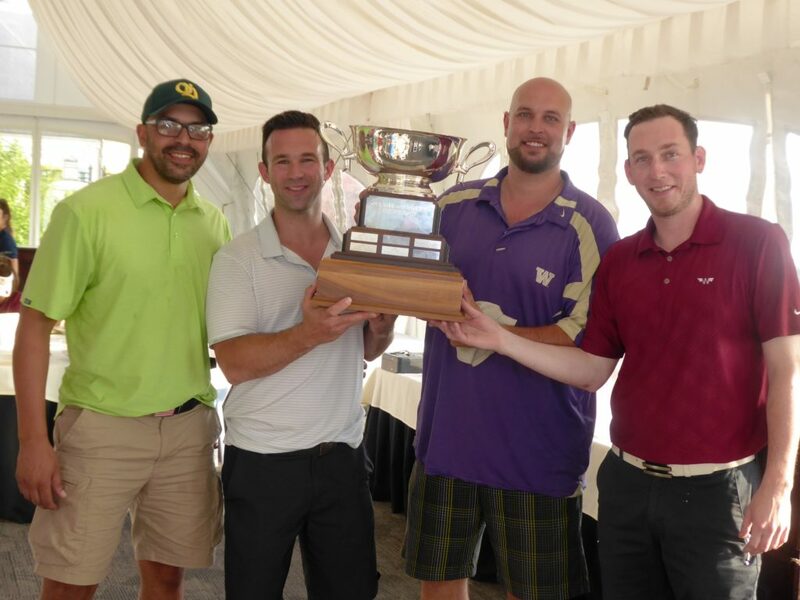 The 33rd Annual O’Dea Golf Tournament will be held Monday, June 17, 2019 at The Golf Club at Newcastle – China Creek. This event sells out annually so make sure you register your foursome now; you don’t miss out on the fun! The tourney is open to everyone, 21+, not just O’Dea Alumni. To help sponsor our tournament, please contact David Mazzeo in the Advancement Office at 206-622-0722. Proceeds from the tournament will help fund the Edmund Rice Leadership Awards, granted for excellence in the classroom and service in the community. Recipients of these awards will be given $1,500 annually to assist with their tuition, starting their freshman year. Congratulations to our 2018 winning foursome: Jason Williams ’88, Joe Greene ’02, Jason Benn ’02 and Matt Brace ’02.